Ayappa devotees arrested for chanting Sarana matra, charged with non-bailable offence is the misuse of the law, said BJP State President Adv P S Sreedharan Pillai. Executive Magistrates must stop being puppets of the State Government. 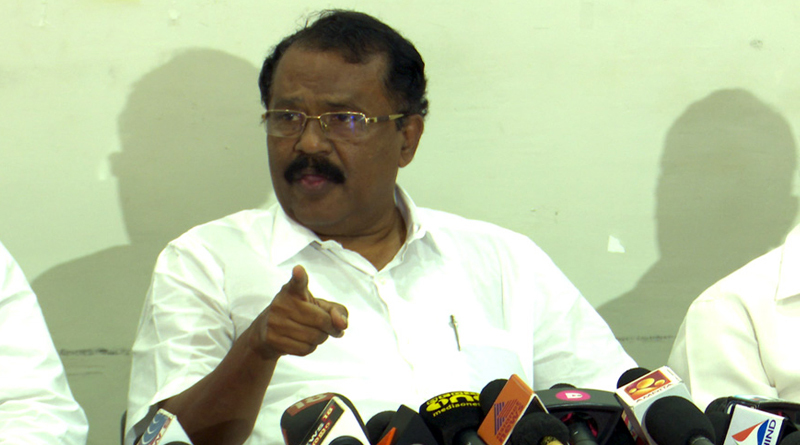 Complaints will be filed to Human Rights Commission, against the arrest of believers, without any provocation, by the police, stated Sreedharan Pillai. The ban under section 144 must be ruled out. Ayyappas trekking from other states are in great difficulty. Restrictions up on the media and the rules limiting the freedom of movement to the pilgrims, is watched by the whole world, the reality of situations will be noticed by the superior jurisdiction is the expectation, added Sreedharan Pillai. Pinarayi’s cops, run for cover as devotees’ protest builds up in Sabarimala. 23 December, 2018 VSK KERALA Comments Off on Pinarayi’s cops, run for cover as devotees’ protest builds up in Sabarimala.